The right lens can transform an ordinary, ho-hum snapshot into a memory that lasts a lifetime. If you're still relying on the kit lens that came with your DSLR or mirrorless camera, it may be time to venture into new territory. Our guide will help you find your way. When it comes to DSLR and mirrorless cameras, one big benefit over other camera types is the ability to change lenses. 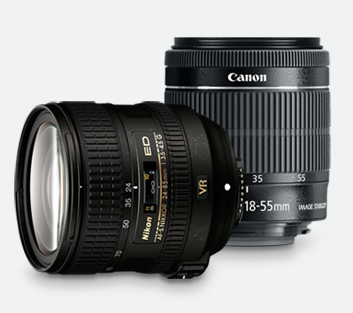 There is a wide variety of lenses to choose from, which can be great. But if you're new to photography, it's easy to get lost in all the numbers, letters and jargon. So, what to do? Don't get bogged down by all the technical specs. First, just focus on some common terms. Before you decide which lens to purchase, first make sure the lens will physically fit your camera. Keep in mind that many camera brands accept lenses only from their brand. For a camera with a cropped sensor size (also known as APS-C), you can choose from a wide range of full-frame and APS-C lenses. Most entry-level DSLR and mirrorless cameras are designed with a cropped sensor size. 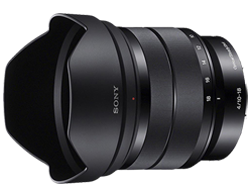 APS-C lenses are typically more affordable than full-frame lenses; they are also smaller and lighter in size. 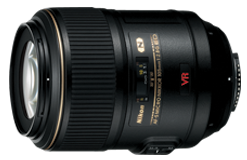 The Nikon DX and Canon EF-S series are two examples of APS-C lenses. If you own a camera with a full-frame sensor, only full-frame lenses will both fit and work properly on your camera. If you already own lenses from an older film or digital SLR model, you may be able to use them on your new digital camera. 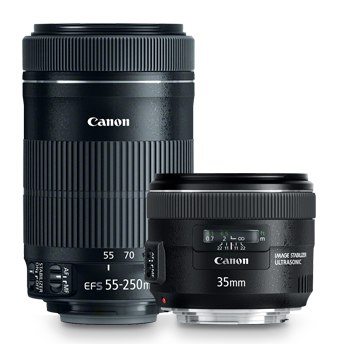 Canon lenses made as far back as the late 1980s work flawlessly with today's newer DSLRs, and select Nikon DSLRs are compatible with Nikon lenses designed as many as 50 years ago. Since a high-quality lens may last even longer than your camera and is designed to be compatible with future camera models, the investment you make now can continue to pay off even if you decide to upgrade to a newer camera down the road. 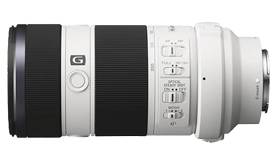 Third-party manufactured lenses are also available, such as those from Sigma and Tamron, which are designed to fit most top-brand cameras. This defines the lens's angle of view, or how wide the image is. A shorter focal length gives you a wider image, while a longer focal length allows you to zoom in for a narrow, closely cropped shot. The longer the focal length, the closer you can zoom in on a distant subject. 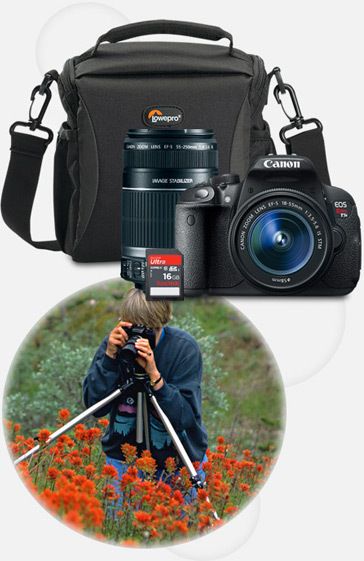 Many entry-level DSLRs come with an 18–55mm lens in the package, which is a good choice as a general-use lens. 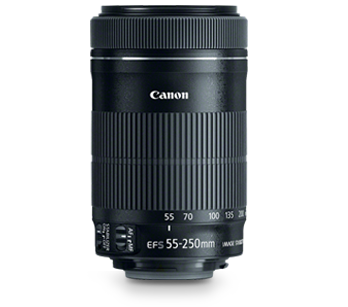 For more zoom power, you'll need a telephoto lens, which typically falls within the 55–300mm range. Keep in mind that a 50mm focal length, for example, will produce different results on a cropped-sensor camera than on a full-frame camera. The angle of view (how wide the image is) will be narrower on a cropped-sensor camera, which means if you attach a 50mm full-frame lens to a cropped-sensor camera, the lens will act more like a 75mm or 80mm focal length, depending on the camera brand. To figure out the equivalent focal length for a full-frame lens on a cropped-sensor camera, multiply the focal length by 1.6 for Canon lenses or 1.5 for Nikon lenses. Every lens has an aperture range. The aperture, also called the f-stop number, allows you to control the amount of the scene that is in focus. A lower f-stop means a smaller area of the scene is in focus, rendering a stylish look. For example, if your f-stop is set at f/32, the majority of your scene will be in focus. However, if your lens has the ability to go down to f/2.8, only a small portion of your scene will be in focus while the rest is blurred for a softer, more stylish effect. This is what gives you the beautifully blurred backgrounds seen on professional portraits. The greater the maximum aperture (i.e., the lower the f-stop number), the more control you'll have using your lens. A lower f-stop can maintain faster exposures in low-light conditions, allowing you to shoot indoors without a flash and capture images at dawn or dusk. It's also fast enough to freeze the action. If you're not sure how to select the correct aperture, let the camera do the work for you by switching to auto mode. As you become more comfortable and familiar with your camera, you can choose to manually adjust the aperture for the effect you want. Some lenses are best suited for portraits, others for landscapes, and yet others for capturing tiny details. When it comes to choosing the right type of lens, you'll first need to ask, "What kind of pictures do I want to take?" The answer to this question will help you narrow down your search to one of the categories below. If your DSLR or mirrorless camera included a kit lens, it was most likely a zoom lens. Zoom lenses are popular because of their versatility, allowing you to capture shots close up or farther away without having to move your feet or switch lenses. Prime lenses, on the other hand, are fixed at a single focal length. They offer a wider aperture range, and, in many cases, you'll get sharper photos than with a zoom lens. Why choose a zoom lens? Zoom lenses offer a range of focal lengths, giving you the ability to shoot subjects at varying distances without moving your feet. They're often the best choice for a multipurpose lens or for travel, when you don't want to carry multiple lenses or swap out lenses on the go. Although it's easy to confuse a zoom lens with a telephoto lens, they are actually two separate, but sometimes overlapping, types of lenses. 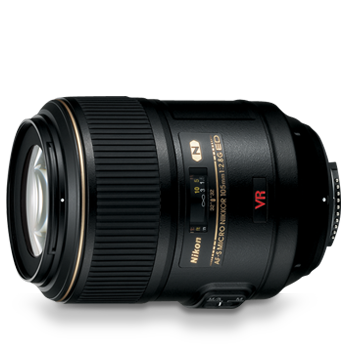 A zoom lens is any lens that features a range of focal lengths, such as 18–55mm. 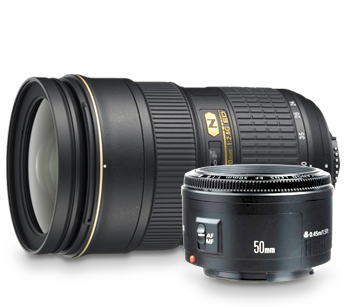 A telephoto lens is a specially constructed lens with a long focal length, such as a 70–200mm telephoto zoom or a 135mm prime lens. Why choose a prime lens? Prime, or fixed focal length, lenses are non-zoom lenses that are lighter and cheaper for the same performance you'd get in a zoom. They produce crisp, clear images for portraits, studio settings and situations where you can easily get as close or as far away from your subject as needed. Prime lenses typically include a larger maximum aperture, which makes them perfect for low-light shooting. 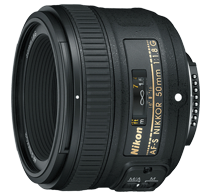 The nifty-fifty (50mm f/1.8 lens) is the classic "must-have" prime lens for any beginning photographer. If you've already started shopping for a new lens, you've probably noticed the huge difference in prices between lenses that appear to be fairly similar on the surface. Why are some lenses more expensive than others? Although focal length and maximum aperture may be exactly the same for two different lenses, what sets the more expensive lenses apart are features like image stabilization, glass quality and engineering standards, lens coatings and durability. If you expect more from your lens than just the basics, there are a few features you should watch for. This feature ensures crisp shooting even in low light or with a telephoto lens. With this feature, a slight camera shake won't destroy your photo. This is especially important for handheld shots with a telephoto or super telephoto lens, when it's difficult to hold the camera steady enough to prevent blurring. Manufacturers use different names for this antishake feature, including Vibration Reduction for Nikon lenses, Image Stabilization for Canon lenses, and Optical SteadyShot for Sony lenses. Most lenses will work in conjunction with the autofocus capability of your camera. Some will also do this silently, thanks to a built-in focusing motor (such as Canon's Ultrasonic Motor or Nikon's Silent Wave Motor) that is designed to quietly and quickly focus on your subjects. Lenses without a silent focusing motor tend to be louder during operation. 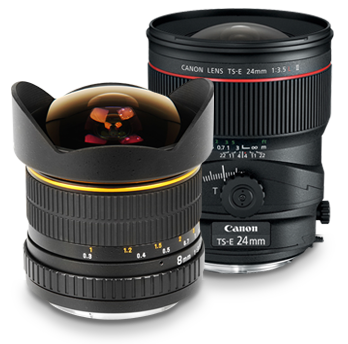 Many high-end lenses focus almost instantly, which helps you capture better sports and fast-action shots. Although there is no particular specification for this feature, third-party lens reviews or an in-store demo will help you find a lens with instant autofocus. If you plan to shoot video with your camera, choose a lens with video-specific autofocus, such as Canon's STM drive. The continuous autofocus keeps your subject clearly in focus even while panning, zooming and shooting subjects in action. Almost all lenses include a manual focusing ring, which allows you to manually adjust the focus instead of relying on autofocus. 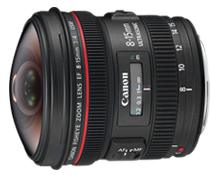 Some lenses also feature a manual focus override for more precise control. This allows you to adjust which portion of the scene is in focus manually without first switching out of autofocus mode. As a general rule, the more expensive the lens, the better quality it's likely to be. Professional-grade lenses use the highest quality glass, paired with lens coatings and elements designed to increase sharpness, minimize reflections, reduce distortion and ensure the consistency of every shot. Color and clarity are two of the most important characteristics of a high-quality lens. Features such as Fluorite and Ultra-low Dispersion elements on Canon lenses or Extra-low Dispersion elements on Nikon lenses ensure that the color representation is accurate and images are sharp. Aspherical elements prevent blurred images caused by distortion, while special coatings keep fingerprints from smudging your images and make the lens easier to clean. Most consumer-grade lenses are designed to be affordable, with plastic housing and sometimes a plastic lens mount as well. Professional-grade lenses feature more durable housing, which, although heavier than plastic, will last longer than the housing used for consumer-grade lenses. Also, professional-grade lenses often include weather-sealing for protection in harsh conditions, such as high humidity, rain, blowing dust and extreme temperatures. Whether you want to capture a breathtaking mountaintop view or your baby's first smile, the lens you choose can make the difference between "just another shot" and a photo that captures the intricate details of the moment. The pictures you take the most — or wish you could take — determine which type of lens is right for you. Use the recommendations below to help you narrow down your choice to the right type of lens or lenses for your needs. Most kit lenses are consumer-grade quality, which means that even if you're happy with the aperture and focal range of your existing lens, upgrading to a higher-quality lens can make a significant difference in how your images turn out. That's because the quality of an image depends largely on the lens rather than the camera body. If your photos are lacking the sharpness and color representation you expect, upgrading to a higher-quality lens is worth the investment. When you're on the go, the last thing you need is extra baggage to carry around. This is where a long-range zoom lens comes in handy. 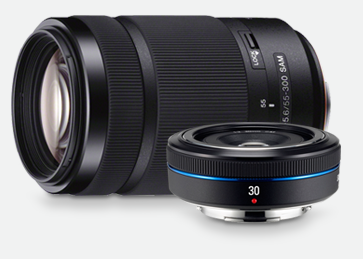 With a single lens, you can capture anything from portraits to landscapes to distant subjects. 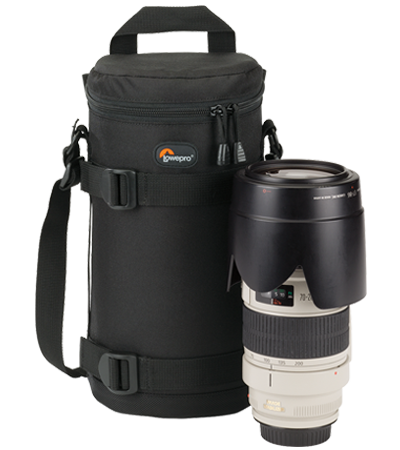 An 18–200mm focal range allows you to get most of the shots you want without needing to change lenses. If you're willing to carry a little extra weight, bring along a wide zoom lens (such as 10–22mm or 10–24mm) for stunning landscapes and a standard prime for street photos and portraits. Many new parents upgrade to a DSLR or mirrorless camera to capture better photos of their little ones. With the kit lens, however, you might find your shots lagging behind the action. If you're struggling to shoot pictures of your kids running around the yard or your toddler's cute facial expressions, it's time for a faster lens. A larger aperture will let you capture fast-action shots with less blur, and a zoom lens with fast autofocus will help you get the shot in focus before the moment passes. For portraits of your kids (or any shot where your kids are actually sitting still), pick up a 50mm prime lens. The fixed focal length will give you sharper results than most zoom lenses. Want better pictures at sporting events? With a telephoto lens, you can get close-up shots from the bleachers or sidelines. Make sure the lens comes with a fast autofocus, so you don't miss the winning shot, and a reach of at least 200mm. Since telephoto lenses are a bit heavier to handle, choose a lens with image stabilization for crisp, clear photos without blurring. The larger the aperture, the better you'll be able to capture fast-action shots. A large aperture, such as f/2.8, will also allow you to shoot indoors or in low-light settings without a flash. When it comes to posing for weddings and portraits, people want to look their best. A slightly longer focal length flatters the subject's facial features by softening sharp lines or wrinkles and creating a soft background blur for a dreamy look. An 85mm focal length is generally considered the sweet spot for portraits, although lenses ranging from 50mm to 135mm are also popular. Stick with a prime lens for the sharpest image quality. For candid shots at a wedding, you'll probably want more than one lens, but if you need to narrow it down to one, choose a mid-range zoom with a large aperture for low-light shooting without a flash. Quiet autofocus is also a must. If landscapes are your specialty, invest in a wide-angle lens. Besides fitting more in the frame, the wider angle has the effect of drawing the viewer into the center of the photo, making you feel like you could almost step into the picture and look around. Another option for landscapes is a telephoto lens, such as 70–200mm, which creates more of a compressed feel and allows you to capture an intimate view of the scenery by highlighting dramatic elements, such as an isolated rock formation or a lone oak on the horizon. Sometimes the most stunning photos are the ones that render the subject life-size or even larger than life. Close-up shots of flowers, insects, jewelry, or intricate details require a macro lens. This type of lens allows you to get within inches of your subject for a more dramatic effect. Getting a close-up shot of a bird or animal in the wild means you either need cat-like instincts or a telephoto lens. Your odds are probably better with a telephoto lens. Choose a focal length of at least 200mm, or for even better results, 300mm or longer. If you enjoy pushing the boundaries of creative exploration, consider testing your limits with a fisheye or tilt-shift lens. Playing with composition and scale opens up new possibilities for capturing how you see the world around you. Use a fisheye lens to capture the night sky or a tilt-shift for stunning landscapes and architectural elements. Another way to stretch your creativity is to do the opposite of what you usually do. If your default shot is a landscape, play around with a macro lens to focus on details that get lost in the bigger picture. If you prefer a zoom lens for versatility, switch to a prime, which forces you to move your feet and carefully compose your shots. What you learn can help make your shots better, even when you return to your default lens for shooting. This type of filter protects your lens from accidental damage. It's much cheaper to replace a filter than to replace a scratched or damaged lens. A clear, high-quality UV filter will not impact the image quality. It simply protects the lens and makes it easier to clean. Just be careful to avoid stacking other filters on top of the UV filter, since doing so can cause vignetting (darker coloring at the edges of a photo) or reduce the image quality. If you want to make colors pop in your landscape shots, use a polarizing filter for bluer skies, greener vegetation and more-intense color contrast. A polarizing filter reduces reflections, saturates colors and cuts through haze. Be careful when using this type of filter on a wide angle lens, since you could end up with unnaturally dark colors. Even after adjusting the aperture, sometimes the light that enters the lens is still too much. A neutral density filter reduces the amount of light entering the lens, thereby decreasing the shutter speed and increasing exposure time. Slowing down the lens creates a sense of movement, especially when photographing water, clouds or even people. A neutral density filter also comes in handy for shooting high-quality video, when you want to keep the shutter speed low for natural-looking motion. Protect your lens from damage when not in use by storing it in a lens case. A case with a strap attached makes it easy to take the lens wherever you go. Caring properly for your lenses will ensure years of flawless performance. Use a lens pen or cleaning kit to keep your lens clean. A soft microfiber cloth removes smudges and fingerprints. If you want to use a lens on your camera made by a different manufacturer, or if you want to attach a classic, out-of-production lens to a newer camera body that's not compatible, you'll need a lens adapter. One end of the adapter attaches to your lens, and the other end attaches to your camera. You'll most likely need to adjust the focus and exposure manually before shooting, since the lens and camera were not originally designed to work together. Although using a lens adapter takes a bit more work, it's an easy and affordable way to tap into your existing lens collection and unlock unique creative possibilities. 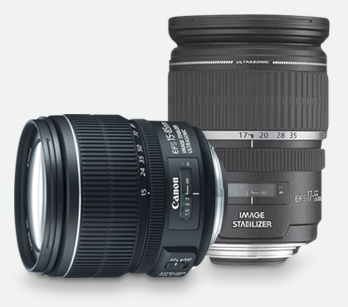 Find a wide variety of camera lenses on BestBuy.com. Your local Best Buy store also has a selection of lenses. Plus, our friendly Blue Shirts are there to answer questions and help with choosing the best DSLR or mirrorless camera lens for your needs.